Dr. Frank Lee received substantial press attention in more than 1,400 national and international outlets for his creation of the giant Tetris game played on all sides of the Cira Center on April 5 for the kickoff of Philly Tech Week. Coverage included every national broadcast and cable news channel, as well as a New York Times video and blog post and a feature segment on Discovery Channel (Canada) that aired on April 7. He subsequently received certification of a new world record beating his 2013 record in September. A group of about a dozen Drexel Game Art and Production and CS juniors and seniors attended the Game Developers Conference where they presented their game, The Unseen, at Intel's University Game Showcase. Drexel was one of a handful of the top Game Design schools invited to the Showcase, and one of the few undergraduate programs showing their work. The Unseen is a science-fiction first person horror game for PC where you play as Anala Warren, a scientist left behind on an evacuated research station in space. With the Portable Energy Generator, ”the only tool at your disposal,”you must survive against an unknown enemy as you try to find a way off the station. Drexel students were also invited to present their game at the Intel exhibition booth. In it's 5th appearance in the top 10, Drexel University's Digital Media MS degree is #4 on a list saluting the best graduate institutions in the U.S. and Canada to study game design, according to The Princeton Review, one of America's most widely known education services and test preparation companies. 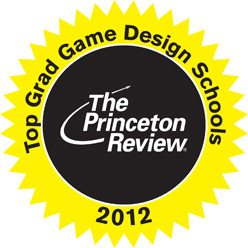 Drexel University is again in the Top 10 for the 4th time on a list saluting the 50 best graduate institutions in the U.S. and Canada to study game design, according to The Princeton Review, one of America's most widely known education services and test preparation companies. The Princeton Review developed its list in partnership with GamePro, one of the most respected brands in the video game industry, reaching over 3 million gamers a month. The list is reported in PC Gamer's's May 2014 issue and on the websites of The Princeton Review (www.princetonreview.com) and PC Gamer (www.pcgamer.com). 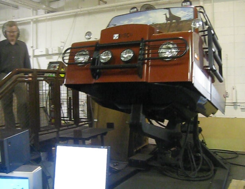 In November 2013, Guinness World Records has officially certified Drexel's "The Pong on the Cira Centre" as a Guinness World Record as the Largest Architectural Videogame Display. See April's news below for more information. 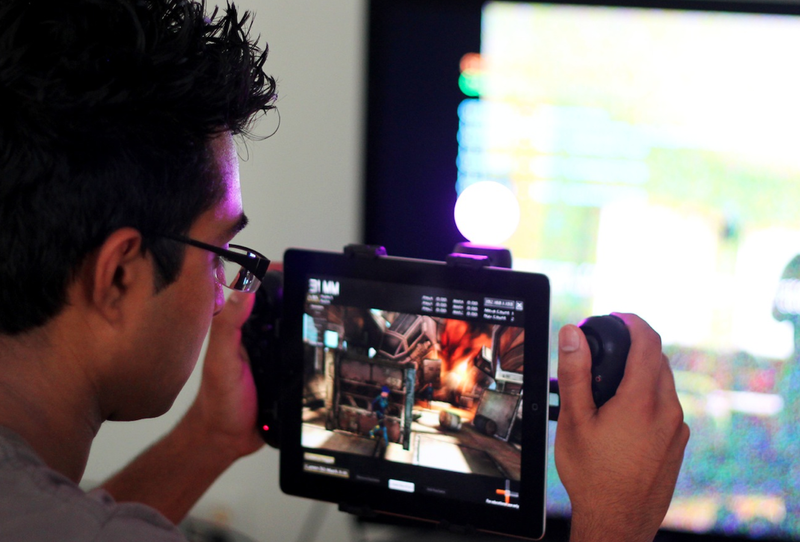 SmartVCS: Shooting Avatar on Your iPad? Congratulations to recent Digital Media graduate Girish Balakrishnan for winning the Unity Awards at the Unite Conference. Unite 2013 is the annual event for Unity developers, publishers and enthusiasts to learn more about the market-leading platform for creating high quality video games, training simulations, medical and architectural visualizations and other interactive 3D content. 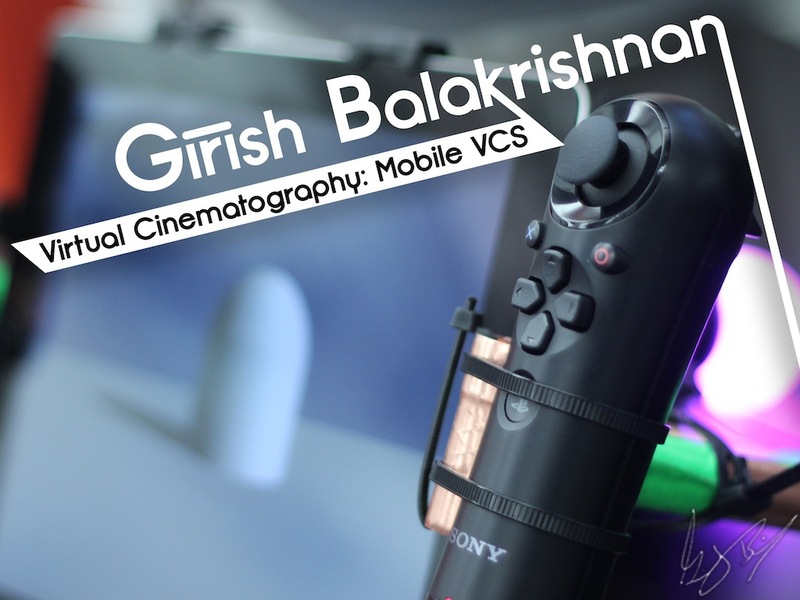 Girish's thesis project won the Best Student Project category. With accessible hardware such as multi-touch tablets and the latest video game motion controllers, there is an opportunity to develop a new intelligent, freespace capture device and platform using nothing more than consumer technologies to augment and evolve the functionality of the virtual camera system. Girish Balakrishnan (DIGM MS 13) will be presenting along with his advisor, Dr. Paul Diefenbach, his thesis work on a new pipeline for production. See our Research page for more information. Drexel Game Design weclomes Digital Media's newest tenure-track faculty member: Dr. Stefan Rank. He comes to Drexel's Game Art and Production Program after ten years of distinguished service and research at the Austrian Research Institute for Artificial Intelligence (AI) and the University and Medical University of Vienna. Rank's gaming and digital technology career is heavily steeped in research on Artificial Intelligence and various cognitive sciences. He was involved in eight European research projects in the last years where his work focused on interactive characters and affective human-computer interaction. Rank specializes in development and application of computational affective behavior models for users and synthetic characters, intelligent software agents, game design, interactive narrative and human-computer interaction and has been featured in more than 30 peer-reviewed publications and journals worldwide. He received his Ph.D in CS in 2009 from the Vienna University of Technology, Austria, graduating with highest distinction being in the top 1 percent of his class. He also received a Prize of Appreciation from the Austrian Federal Ministry of Science for his Ph.D. Thesis and a Prize of Recognition by the Austrian Society for AI based on originality, quality and relevance. Dr. Noah Wardrip-Fruin talk "Growing the Tech Tree: Researching the Future of Games"
Dr. Noah Wardrip-Fruin is visiting the GMAP program on May 14-15, 2013. 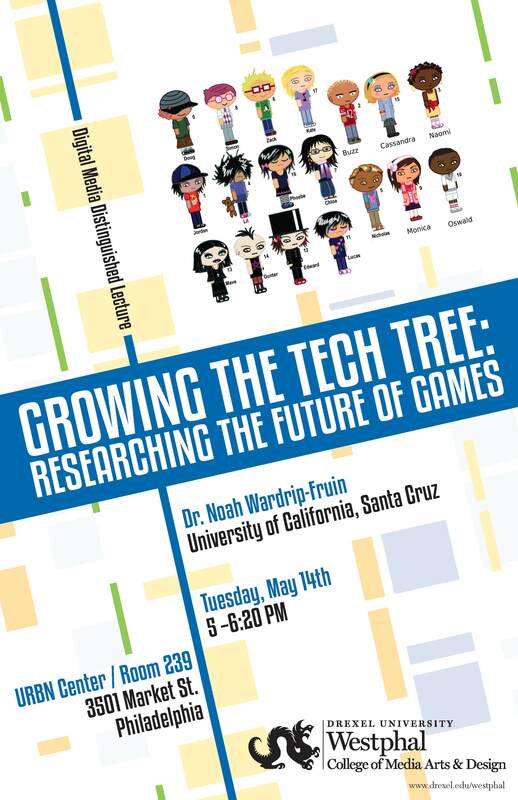 As part of his visit, he will give an invited talk titled "Growing the Tech Tree: Researching the Future of Games" on May 14, 5-6:20PM, at URBN 239. Noah Wardrip-Fruin is Associate Professor of Computer Science at the University of California Santa Cruz, where he co-directs the Expressive Intelligence Studio, one of the world's largest technical research groups focused on games. His research areas include new models of storytelling in games, how games express ideas through play, and how games can help broaden understanding of the power of computation. Wardrip-Fruin also directs UCSC's Digital Arts and New Media MFA program and the Playable Media group within it. Prof Frank Lee and his student team created "The Pong on the Cira Centre" Project which used the LED lights of the Cira Centre building, a 29-story, 435-foot tall skyscraper located in Philadelphia, to create a playable videogame, Pong for Philly Tech Week in April 2013. Over 300 TV, print, and online media outlets picked up the story of this project across the nation and the world, including NBC, FOX, NY Times, Washington Post, USA Today, MTV, NPR, Fast Company, and many others. The combined views of the project on YouTube exceeded 400,000. in their special issue on Top Innovators. Kudo said on his recent visit, "Drexel has one of the best Game Design and Digital Media programs I have seen. The work they do is innovative and top quality. Drexel interns and graduates I've worked with are well prepared to deliver results in a team environment." Kudo Tsunoda has spent his entire professional career developing games for leaders in the industry. Some of his titles include Kinect Sports, Kinect Adventures, Army Men: Air Attack, EA Sports Fight Night, and Gears of War 2. He served as Creative Director of Kinect for Xbox 360, the Guinness Book of World Records record holder for the fastest selling consumer electronic device in history. During Tsunoda's 14+ years in the video game industry, he has designed such genre defining features as "Fight Night's"; Total Punch Control system and the Army Men Air Attack Winch Mechanic. He has been General Manager of Microsoft Game Studios, and Vice President and General Manager of EA Games Chicago. Digital Media graduate student Glenn Winters received notification that his analysis of the narrative structure of the game Journey was one of three top platinum winners at the Game Developers Conference in San Francisco, CA through March 25 2013 - March 29 2013. Winning out of thousands of applicants, Glenn will be presenting as part of the Conference Narrative Review. This is a competition in which participating students conduct a high-level structure analysis of the narrative elements of a game title of their choice. Glenn's study analyzing the game Journey is a key component of his MS thesis research which focuses on defining goal directed attention structure composition patterns as a subset of visual narrative arcs within 3D adventure games. As a result of this honor, he will be presenting his paper in poster form on the Conference Expo floor, which is open to all 22,000 attendees. After the conference, his work can be referenced as part of the permanent archives of GDC at http://www.gdcvault.com/gamenarrativereview. Drexel Game Design weclomes Digital Media's new Program Director: Dr. Miachel Wagner. Dr. Michael Wagner is Associate Professor and the Director of the Digital Media Program at the Antoinette Westphal College of Media Arts & Design. Prior to his position at Drexel he held academic teaching, research and executive management positions at the Department of Computer Science at Arizona State University, the Department of Educational Technology and Interactive Media at Danube University Krems, Austria, and the Christian University College of Teacher Education Vienna/Krems, Austria. His research interests focus on the educational use of digital media and computer games. He is the scientific director of "Ludwig", a curriculum based physics learning game for middle schools that has been awarded with the German Game Developer Award for Best Serious Game 2011. Drexel Game Design and the Drexel RePlay Lab welcome two new faculty: Dr. Santiago Ontanon Villar and Dr. Jichen Zhu. Dr. Santiago Ontanon Villar was a Juan de la Cierva Postdoctoral Researcher at the Artificial Intelligence Research Institute in Barcelona, Spain prior to coming to Drexel. He received his Ph.D. in Computer Science from the University of Barcelona, and also worked as a postdoctoral fellow at the Georgia Institute of Technology. His research spans the broad areas of artificial intelligence (particularly case-based reasoning), machine learning, and gaming, with titles including Case-Based Reasoning and User-Generated AI for Real-Time Strategy Games, Drama Management and Player Modeling for Interactive Fiction Games, and Adaptive Computer Games: Easing the Authorial Burden. Dr. Jichen Zhu was an assistant professor of Digital Media in School of Visual Arts and Design, at University of Central Florida prior to joining Drexel. She was also the director of the Procedural Expression Lab. Her work focuses on developing humanistic and interpretive theoretical framework of computational technology, particularly artificial intelligence (AI), and constructing AI-based cultural artifacts. Her current research areas include digital humanities, software studies, computational narrative, and serious games. Jichen Zhu received a Ph.D. in Digital Media from Georgia Tech, under the advisement of Dr. D. Fox Harrell. She also holds a MS in Computer Science from Georgia Tech, and a Master of Entertainment Technology from Carnegie Mellon University. Her work on analogy-based story generation (ASG) was presented in IJCAI 2011 this summer, and she is an invited speaker at the Symposium on Narrative Intelligence: AI Approaches for Games and Fiction at the Expressive Intelligence Studio, UC Santa Cruz. Professor Frank Lee profiled by Philadelphia Magazine as one of "The Smartest People in Philadelphia" in their special issue on Top Innovators. Drexel students win 2012 Image Cup World Championship! Drexel University computer science graduates Matt Lesnak, Keith Ayers and N. Taylor Mullen claimed a world championship in the Microsoft Imagine Cup technology design competition after their "Math Dash" game rose to the top from a field of 106 teams from 75 countries. The group, dubbed team "Drexel Dragons," won the game design mobile category with a smartphone app that turns learning math concepts into a fun game. "I am beyond words proud of these students," said Dr. Frank Lee, an associate teaching professor in the College of Engineering, the co-director of Drexel's game design program and the Drexel Dragons' advisor. "This shows that Drexel and the game design program have produced some of the best game design and development students in the world, they have certainly earned all of the accolades they have coming to them." In the Worldwide Finals, which were held in Sydney, Australia, the Drexel Dragons edged out teams from Brazil, the Czech Republic, Indonesia, Lithuania and Romania in advancing to the finals after day one. In the final round, Drexel's group claimed the world title over teams from France and Hungary. The Imagine Cup is considered to be one of the most challenging technology competitions in the computer science community. Overall, more than 300,000 students from around the world participated in the competition this year. Imagine Cup includes three divisions: software design, game design and IT challenge. An international panel of judges from industry, media and entertainment chose the world champions after a rigorous three-day process. The Drexel Dragons advanced through two rounds of competition, which began in the winter and culminated with the U.S. Championship in April and the team's subsequent selection for the Worldwide Finals. The team claims a prize that includes $8,000 and the opportunity to apply for a startup grant from Microsoft. Additionally, Microsoft will donate $10,000 to Drexel in honor of the team's victory. "Math Dash," is a fast-paced game aimed at elementary-aged students, to reinforce math skill. 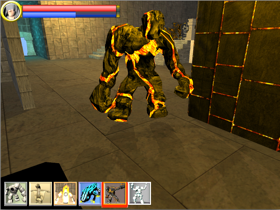 Development of the game was part of the team's senior design project. The group worked with area schools to field test and design the game and the group members' plan to move forward with commercializing the game. "When they started the project, the goal was to show that you can have a game that is wildly fun and addicting, while at the same time it teaches math to kids in a way the incorporates the best practices of math education," Lee said. "They were successful in reaching both of their goals and the judges unanimously agreed." In its first graduate ranking ever, Drexel University's Digital Media MS degree is #5 on a list saluting the best graduate institutions in the U.S. and Canada to study game design, according to The Princeton Review, one of America's most widely known education services and test preparation companies. Drexel University is remains in the Top 10 for the second stragith year at #7 on a list saluting the 50 best undergraduate institutions in the U.S. and Canada to study game design, according to The Princeton Review, one of America's most widely known education services and test preparation companies. The Princeton Review developed its list in partnership with GamePro, one of the most respected brands in the video game industry, reaching over 3 million gamers a month. The list is reported in GamePro's April 2011 issue and on the websites of The Princeton Review (www.princetonreview.com) and GamePro (www.gamepro.com). Philly GameJam 2011 Drexel University's gaming teams won the two major awards at the 3rd annual Philly Game Jam. Duck It! by Space Whale Studios won the "WTF? Award" and Winston's Eggventure by Team UC15 was winner of the Judges' Choice Award at the 3rd Annual Philly Game Jam,May 6-8. Held in conjunction with theÂ Too Many Games Expo, the Game Jam included teams from nearby universities and professional game developers. Their goal was to create a video game within 48 hours based on an abstract theme. The two award categories were "Most Innovative Game" and "Game Closest to the Concept." 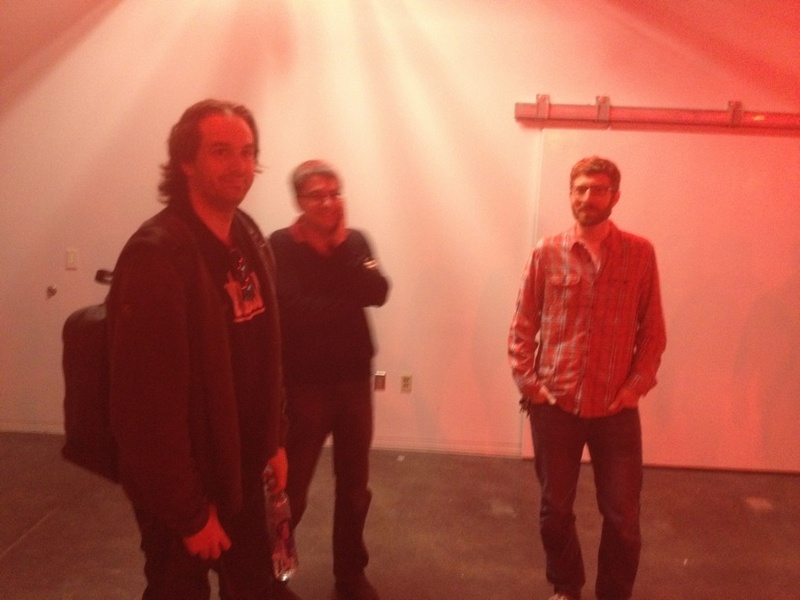 The Space Whale Studios team, while not officially from Drexel, consisted of mostly current and former Drexel students. Drexel Game Design and the Drexel RePlay Lab was featured in the story Game Designers' Bright Future On the 30th anniversary of Pac-Man, the video game industry offers lucrative careers in a big money business. Jeff Glor reports. Drexel University is #3 on a list saluting the 50 best undergraduate institutions in the U.S. and Canada to study game design, according to The Princeton Review, one of America's most widely known education services and test preparation companies. 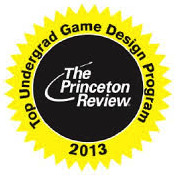 The Princeton Review developed its "Top 50 Undergraduate Game Design Programs" list - the first project of its kind - in partnership with GamePro, one of the most respected brands in the video game industry, reaching over 3 million gamers a month. The list is reported in GamePro's April 2010 issue and on the websites of The Princeton Review (www.princetonreview.com) and GamePro (www.gamepro.com). It names eight programs for top honors as the best of the best. The remaining 42 programs are listed in alphabetical order and not ranked. Congratulations to our Digital Media senior group, The Fourmation and their head-tracking multiplayer video game, Fourmation, for winning the 9th annual Adobe Design Achievement Awards in the Non-Browser-based Design category. This was presented at the Icongrada World Design Congress in Bejiing China. The Fourmation team was comprised of recent alums Jared Weinstock, Nick Deimler, Chau Nguyen, Tom Bergamini, Todd Carpenter and Kyle McArdle who were competing against 3300 student entries from 37 different countries. Fourmation is a 3D action-packed multiplayer Flash game that uses Wii technology to bring virtual reality to the home computer. Philly GameJam 2009 Drexel University's gaming team, Team Reverie, took First Place with "Most Innovative Game" at the 2nd Annual Philly Game Jam, Oct. 23-25, 2009. Held in conjunction with the GameX Industry Summit, the Game Jam included teams from nearby universities and professional game developers. Their goal was to create a video game within 48 hours based on an abstract theme. This year's theme was a quote from Pulitzer Prize winning author and Philadelphia native James A. Michener: "An age is called Dark, not because the light fails to shine, but because people refuse to see it." The two award categories were "Most Innovative Game" and "Game Closest to the Concept." 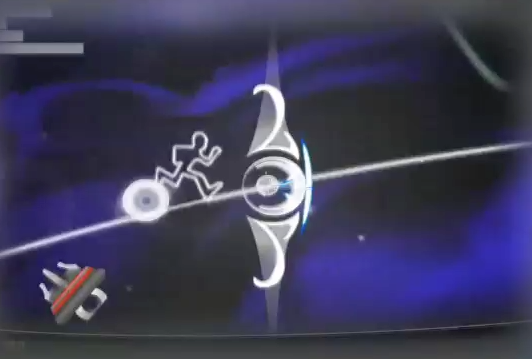 While Team Reverie won first place in "Most Innovative Game" with their game, Insight, a team from Space Whale Studios took second place in both categories with their game, The Shovel Nose Screamer. The Space Whale Studios team, while not officially from Drexel, consisted of mostly current and former Drexel students. Digital Media student Christian Hahn expanded the work of the Pulse-1 game created by his graduate team to create Pulse-2, which was presented at the talk and paper "An Audio Processing Library for Game Development in Flash" in ICE-GIC 2009 in London, England. Drexel SIGGRAPH Presentation: SmartVCS: Shooting Avatar on Your iPad? Anaheim Convention Center Hall B With accessible hardware such as multi-touch tablets and the latest video game motion controllers, there is an opportunity to develop a new intelligent, freespace capture device and platform using nothing more than consumer technologies to augment and evolve the functionality of the virtual camera system. Girish Balakrishnan (DIGM MS 13) will be presenting along with his advisor, Dr. Paul Diefenbach, his thesis work on a new pipeline for production. See our Research page for more information. Kudo Tsunoda, Microsoft Creative VP and former Creative Diretor of Kinect and former EA Chicago's studio, visited Drexel's new facility, challenged students in a Kinect game tournament, and gave a great talk on the industry. He praised Drexel stating "Drexel has one of the best Game Design and Digital Media programs I have seen. The work they do is innovative and top quality. Drexel interns and graduates I've worked with are well prepared to deliver results in a team environment," and mentioned how our co-ops and interns have one of Microsoft's highest full-time job offer rates of any university. 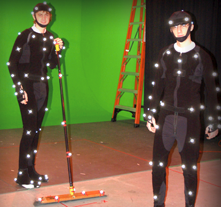 Here he is at our motion capture lab. Dr. Michael Wagner, Digital Media Program Director, is giving a keynote speech on gaming and education at the Exploring the Future: Twenty Twenty Symposium in Vienna, Austria on November 19th. Michael will give an invited presentation at the Conference of the Kongress of New Forms of Learning conference in RotenbÃ¼hl, Germany on November 23rd. Game Art and Production Professor Dr. Jichen Zhu is giving a presentation at a conference in Spain. Drexel has hosted numerous industry speakers in the past year including Drexel alum Amol Sathe, Lighting Supervisor at Diseney, Drexel alumn Will Muto, DIGM BS/MS '09 now at Microsoft XBOX, Drexel alum Tom Burdak MS'12 at Microsoft Studios, Garth DeAngelis, producer at Firaxis Games, and Jeremy Lee, Senior Producer, Microsoft Game Studios, and alumn Seth Kendall, DIGM BS/MS '08 now Cinematic Lead at NCSoft's Carbine Studios. Drexel's research on Brain-Computer Interfaces for video games is being presented by co-author and Digital Media MS student Ken Oum at the IEEE Games Innovation Conference. Ken is also presenting Drexel's Transition To Teaching game for training new high school teachers using a virtual classroom. Drexel Digital Media MS student Christian Hahn's thesis work on music-driven games is being presented as a poster and video at SIGGRAPH Asia. Dr. Diefenbach is an invited speaker on Drexel's many efforts in developing technology for interactive displays, including multitouch displays for gaming and education. Former student Will Muto (DIGM MS 2009,BS 2008) presented his collaborative work with former student Justin Dobies (DIGM MS 2008,BS 2008) and advisor Dr. Diefenbach on education applications for multitouch displays. Current DIGM MS students Craig Stevenson and Phil Lyon presented their group's Brain Computer Interface (BCI) at the Digini company booth. This game was build using Digini's Blade3D software and uses NeuroSky's BCI device. Dr. Diefenbach presented a talk on creating a university game development program and the trials and tribulations of doing so. Dr. Paul Diefenbach presented a virtual robot interface for the Robonova humanoid robot, which will be extended for the Hubo humanoid robot. This is an NSF funded project in cooperation with Drexel's Mechanical Engineering department and several Korean universities. DIGM Graduate students Daniel Letarte and Joyce Tong implemented the Maya interface for this project.